In February 2013, Kemal Oksuz attended then recently re-elected President Obama’s State of the Union speech and before that a $30,000 a person dinner to get a photo op with the president. Three months later, he organized and partly bankrolled a visit by 317 American politicians from 42 states to the event hosted by Azerbaijani ruler Ilham Aliyev. The guests included ten incumbent members of Congress, retired Sen. Richard Lugar (R-Ind. ), Bush-era deputy defense secretary and later World Bank president Paul Wolfowitz, as well as former Obama aides, making it the biggest such junket Baku ever hosted. Oksuz shared a podium with David Plouffe, election strategist credited with Obama’s success. (In the main photo: Oksuz on right with Congressman Mike Turner (R-Ohio) in middle and members of Turkish and Azerbaijani organizations. Photo courtesy of HoustonBaku.org). Five years later Oksuz was led out of a Yerevan hotel and sat in a white Niva, after he was tracked down by Armenian police on request from the United States. How did the once most influential Turkish American end up in Armenia is not yet clear. But aside from the charges Oksuz is facing in the United States, after 2016 coup attempt he has also become one of the most wanted men in his native Turkey. His brother, Adil Oksuz, currently under “police protection” in Germany, has been named as the key conspirator along with U.S.-based Turkish preacher Fethullah Gulen, who has become the number one enemy of President Recep Tayyip Erdogan. The coup attempt has been followed by a massive crackdown in Turkey. Turkish citizens have also been kidnapped from as far afield as west Africa and southeast Asia and forcibly brought back to Turkey to be prosecuted. Renditions of suspected Gulenists have happened in former Soviet states as well. Armenia, which has no diplomatic relations or extradition agreements with Turkey, must be seen as a safe haven from Erdogan’s reach. According to Armenian police, on August 23 they received a request for Oksuz’s arrest from the United States. The naturalized U.S. citizen is accused of fraud, because he did not properly disclose payments his organizations – the Turquoise Council of Americans and Eurasians (TCAE) and Assembly of the Friends of Azerbaijan (AFAZ) – received from the Azerbaijani government. Oksuz first came to prominence as the lead construction contractor building charter schools for Gulen-affiliated educational foundations in the United States. From 2011 to 2015 he and his family are said to have contributed more than $100,000 to various American politicians, giving Oksuz access to highest-placed American officials. 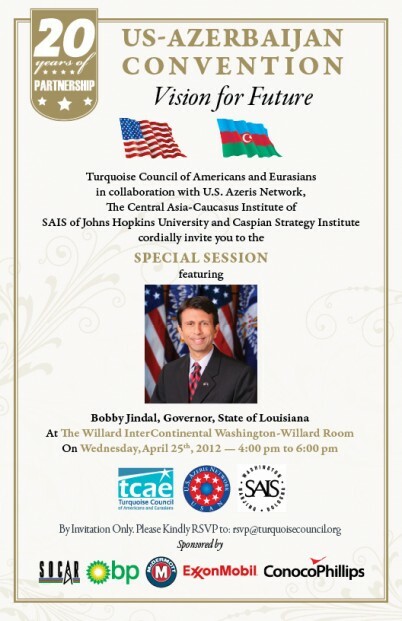 In April 2012, Oksuz co-organized the US-Azerbaijan “convention” in Washington; other sponsors included the US Azeris’ Network and Central Asia and Caucasus Institute at Johns Hopkins University. In an email since published, Oksuz reached out to Secretary of State Hillary Clinton to take part. After Clinton declined, keynote went to Louisiana governor Bobby Jindal. Oksuz estimated that the May 2013 conference cost $1.5 million to pull off. The money was funneled through Azerbaijan’s state oil company, triggering a congressional ethics investigation. Oksuz refused to respond to questions from the congressional committee, which said it “uncovered concerted, possibly criminal” conduct by conference organizers. According to the Organized Crime and Corruption Reporting Project (OCCRP), some of the funding could have also come via the so-called Azerbaijan laundromat, through which millions of dollars are known to have been funneled to Azerbaijani lobbyists in the United States. The lobbyists in turn promoted the Aliyev regime and Azerbaijan’s position in the conflict with Armenia.